People come here from all over the world to get married at this historic San Francisco building. Rebuilt in 1915 after being destroyed in the 1906 Earthquake, SF City Hall has been host to many famous events over the years due to it's amazing beauty. Even Marilyn Monroe and Joe DiMaggio had their marriage here! To read more about the history of this grand building, check out this Wikipedia link. 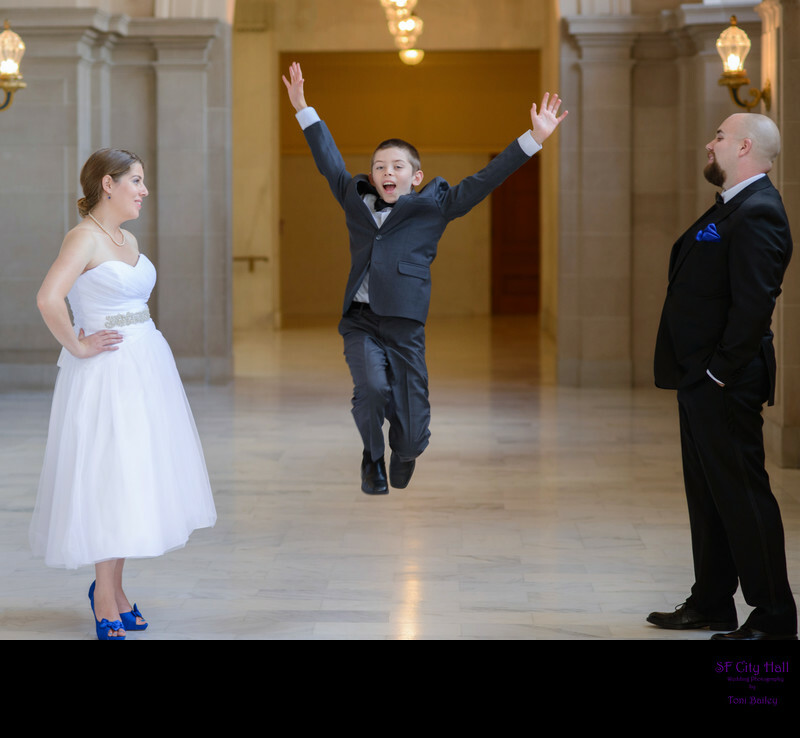 In addition to it's rich history and beauty, San Francisco city hall offers you a very convenient and affordable location to have your civil union marriage ceremony. For only $107 you can get married in the beautiful Rotunda at the top of the Grand Staircase. A private room is also available for those who want to be married out of the public eye. If you want to bring a larger group with you, The Mayor's Balcony or The 4th Floor can be reserved for around $1,000. A Deputy Commissioner is supplied for you as part of this affordable price! Saturday weddings can also be scheduled. You can basically rent out the whole building for $5,000 for your mid-day weekend event. You will have to supply your own officiant on the weekends and they don't allow you to wander freely throughout the building. Or you can rent out all of City Hall for the entire evening, but requires a fairly large outlay of cash starting at $10,000. They provide a beautiful set up for your money and you are guaranteed to get some breathtaking photos. Don't forget to hire a quality professional wedding photographer to capture this beauty! Listed below are some of the available locations. Click on location for more details.